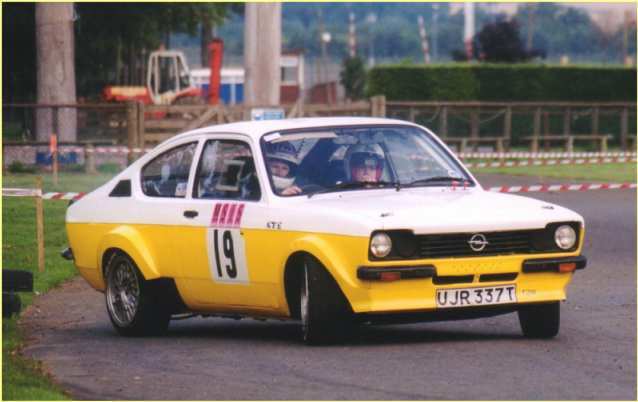 The MSIS Kadett carried Suzanne Hossack to the top woman co-driver award at Ingliston's Festival Stage Rally last Saturday. Two Caithness car club crews travelled down to Edinburgh to compete in the Dunfermline run event. Andy and David Sutherland had a baptism of fire in their first ever stage rally. On stage 1 the exhaust was ripped off the JGC Mini, stages 3 & 4 saw the front arches knocked off, finally a gearbox bearing forced them to retire on stage 8 after showing some promising stage times. The new pairing of Suzanne Hossack and Bill Hamilton in his MSIS Kadett started the Rally seeded at 19 out of 60 competitors. They quickly climbed to 11th overall where they stayed for most of the day, until rain and 2 offs forced them down the leader board. Unable to get the power down and having difficulties staying on the rain-drenched stages, they decided to go for a finish, ending up 16th overall. This rewarded Suzanne with her first ever trophy for highest placed woman co-driver. Elsewhere Mark Morrison from Haster and Gary Dickson from Orkney were competing and the 2 day Scottish Sprint Championship at Kames. Mark in his Fiesta was on the pace from the word go winning his class on both days showing superb driving skills and narrowly missing the class record. Gary Dickson in his Westfield set a new class record by 8 seconds on Saturday and again on Sunday using the reverse track Gary certainly seems to be the man to watch this year.